A bookkeeper’s central role is to maintain financial records for a company or organisation. Furthermore, the bookkeeper assists the business by providing the framework for financial decisions to be made. What role does a bookkeeper play in your business? Most entrepreneurs and small business owners will admit that their company bookkeeper keeps them out of jail. 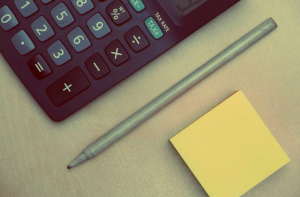 The business owner and the bookkeeper will meet roughly once or twice a year, usually around the time of the tax claim season, to discuss the final sum of money owed to SARS. This strategy is satisfactory if you are running a small one-man business, but you’ll soon fall short if your enterprise is growing and expanding. In this regard, why not consider making your Accountant part of the team? “My accountant provides me with the Management Reports on a weekly basis via an online website. I don’t need to telephone or ask questions, I know exactly where to look. I could even get information at midnight on a Sunday if I wanted to. The Tax Shop Muizenberg uses an online accounting program called SmartEdge that allows you; the business owner; to have as much control over your bookkeeping as you like. With SmartEdge, you’re able to do as much or as little as you like, and the Tax Shop Muizenberg will do the rest. For example, one company has decided to give each of their salespersons smart phones. When they visit a client and place an order, SmartEdge checks if the order can be processed in terms of allowed credit, and also checks whether the stock is available. By the time the salesperson leaves, the customer has already received an invoice via mail, and delivery can happen during the same day. With this, there is no need to get back to the office to fill out endless paperwork and the employer sees sales figures in virtual time. For assistance with bookkeeping for small businesses and growing enterprises, contact The Tax Shop Muizenberg for a consultation.